What is the STDEVPA Function? 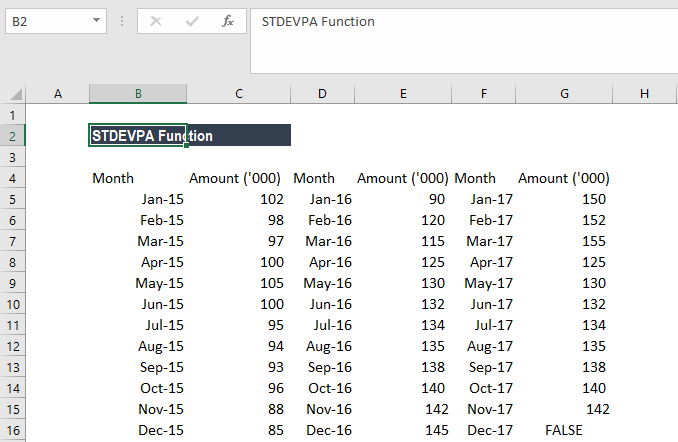 The STDEVPA Function is categorized under Statistical functionsFunctionsList of the most important Excel functions for financial analysts. This cheat sheet covers 100s of functions that are critical to know as an Excel analyst. It will calculate standard deviation that is based on entire population given as arguments. The function will ignore logical values and text. As a financial analystFinancial Analyst Job DescriptionSee a real Financial Analyst Job Description including all the skills, experience, and education required to be the successful candidate for the job. 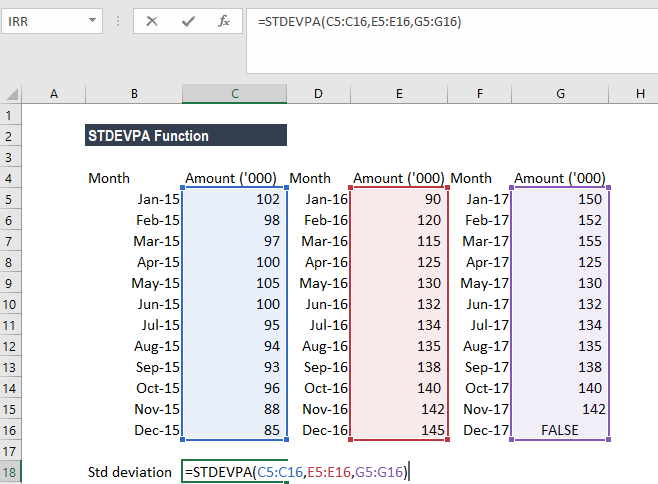 Perform financial forecasting, reporting, and operational metrics tracking, analyze financial data, create financial models, the STDEVPA function can be used to calculate deviations in revenue. Portfolio managers often use standard deviation to measure and keep track of their portfolios’ risk. Value1 (required argument) – It is the first number argument that corresponding to a population. Value2 (optional argument) – It is a number argument that corresponds to the population. The arguments should be between 1 and 255 numeric values, arrays of values, or references to cells containing numbers. MS Excel 2007 or later versions allow us to enter up to 255 number arguments to the function. However, in Excel 2003, the function can only accept up to 30 number arguments. The STDEVPA function is used when we want to calculate the standard deviation for an entire population. If we are calculating the standard deviation of a sample, we need to use the STDEVA function or the STDEV function. 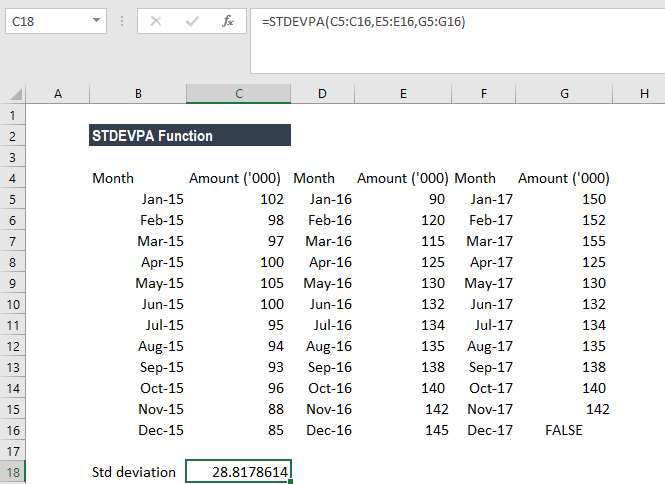 How to use the STDEVPA Function in Excel? Remember here, the STDEVPA function will count logical values while calculating the standard deviation. The STDEVP function, however, ignores them. For large sample sizes, STDEVA and STDEVPA return approximately equal values. If we do not want to include logical values and text representations of numbers in a reference as part of the calculation, use the STDEVP function.